If you are planning your summer retreat from the UK why trade one bustling city for another? Make your destination the north of France. With a P&O Ferry from Dover to Calais you can take your family for an exciting week or two of exciting activities but still be in reach of the must-see-spots of France like the Eiffel Tower and Disneyland Paris. For most people the port city of Calais is just the entry point to France. Once through everybody quickly darts south for warmer climes. Since the weather is finally turning in our favour the beaches of north France will serve you just as well for a bit of a dip, a boat ride or brisk coastal hike. Calais is in close proximity to the Parc Naturel regional des Caps et Marais d’Opale this huge park encompasses Boulogne-sur-Mer so you can drive along the coast to get there. Boulogne-sur-Mer is a common tourist destination due to the appeal of its local markets. An excellent spot to get in a bit of shopping for some local produce as well as the necessary vittles to keep everybody happy. The Parc Naturel is an often overlooked destination as people speed through with their sights set on Paris or even further inland. It offers camping sites as well as primely located chalets and cottages. If tranquility is what you desire then you can spend your time on the rivers trout fishing, sink a few holes on a golf course or just spend the afternoon strolling through the woods. The landscape is perfect for rambling about with the family or your loved ones with it’s many campsites and small towns to make basecamp in and then go out exploring. The park also has arranged kids activities with Passion Adventures. This will give them a chance to try everything from zip lining to quad bike rides; or as a family you could take a cross country horseback ride or bike tour. The other main inhabited area in Parc Naturel is Saint Omer. This is an idyllic commune with a wealth of architectural history from the 13th century cathedral to 17th century fortifications. If you find that you’ve taken in enough of the great outdoors a day trip to this quaint town will certainly give you the chance to sample some fine restaurant food and do a bit of sightseeing. Saint Omer gives you a feel of what it’s like just across the border. The canal areas have the feel of Holland about them and though France is famed for it’s wines you’ll also be able to get some masterfully brewed beers this close to Belgium. Eastwards of the Parc Naturel lies Dunkirk, should you choose to follow the coast, or you can go inland towards Lille. There are plenty of package holiday deals for history buffs wanting to pay homage at the beaches of Dunkirk. Where better to educate you’re children on the evacuation and battle of Dunkirk? This doesn’t have to be done in the museums, you can take guided tours and even boat trips along the beaches for a more tactile experience. To the south is Lille, a medium sized city that boasts a vibrant nightlife due to its large student population. Taking a guided city tour is the best way to see all the major attractions. The main sights such as La Vieille Bourse, the grand square at the heart of Lille and Cathédrale Notre Dame de la Treille command some truly excellent views. If you wish to absorb a little culture then Lille is home to Palais des Beaux-Arts de Lille (Lille Palace of Fine Arts) the largest gallery in France outside of Paris. The building itself is a wonder to look at and housed inside are masterpieces from the Renaissance to modern works by greats like Picasso. Lille also has a great selection of markets in particular you can find some excellent antique furniture to bring back home. You can find a selection of the different markets here. There are general markets on Saturdays and Wednesdays, Flea markets which are a larger occasion for the city and Art markets too. The other major region in north east France is Champagne. It’s a slightly more affordable place to pick up a bottle of something special. The breweries of the area host tours so naturally there will be some free tasters to help you make your mind up. Breweries also produce beer and cider which, despite their quality, are often overshadowed by the sparkling wines that make the regions namesake. 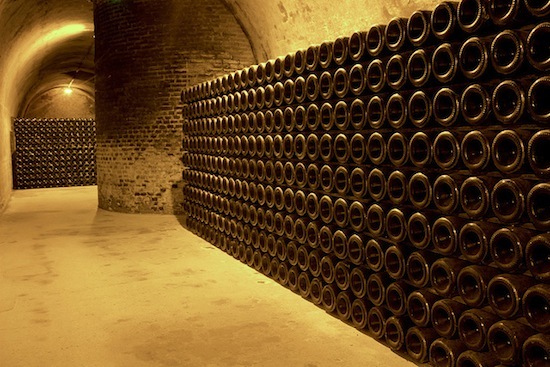 More information about tourism in Champagne can be found here. There’s a wealth of things to see and do from theme parks to day spas. Champagne has a beautiful countryside, you can even tour the breweries by horse drawn carriage. A stay in north France will be made all the more special this year with a visit to the fort city Langres. 2013 is a special year celebrating the tercentenary of Enlightenment philosopher Denis Diderot, a native of the city. Langres will be holding festivals and special events until October of this year so you can easily take in one of these spectacles during your trip to France. 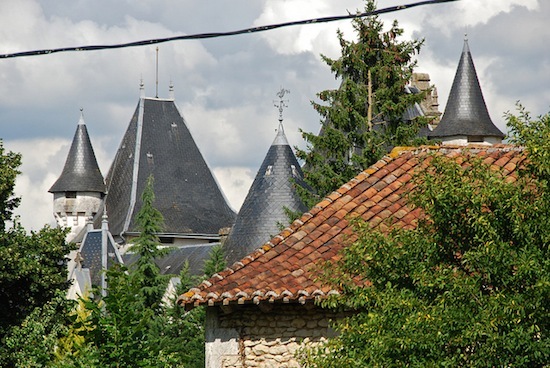 A stay in Langres will give your tour of north east France a level of authenticity. There’s no risk of falling in to a tourist trap there and you’ll never be shy of something to see and do. For organised fun you should consider joining a family holiday camp. Companies like Eurocamp will set you up with a place to stay and you can pick and choose activities. They even have kids clubs so children can socialise and explore together to give their parents a little peace. We’d recommend touring the north of France by bike. The shifting landscape from coast to farmland to woods and lakes is really best seen by bike. If you don’t wish to take your bicycle with you then there are plenty of places to hire them, Bike Hire Direct will even deliver your bikes to you. Book now for P&O Ferries Dover to Calais service, you can take the car and up to 9 passengers.